Contact us at 361-452-2047 to set up an appointment to have us look at your computer. Lagniappe Computing and Networking is a family-owned and operated business. Brian and Karen Chassells, along with their son, David, started Lagniappe with one goal in mind: give the BEST customer service, with the BEST prices, to ensure 100% customer satisfaction with EVERY contact. 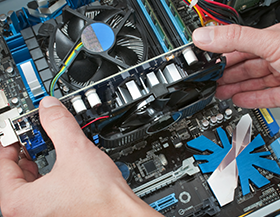 Lagniappe Computing & Networking, LLC is your home for complete computer repairs, maintenance, and upgrades. Conveniently located at 5656 South Staples Staples St 108 in Corpus Christi, we do our best to minimize the inconvenience that a malfunctioning or distressed computer causes. You can trust us to be honest and upfront, providing you with exceptional computer services at a fair price.